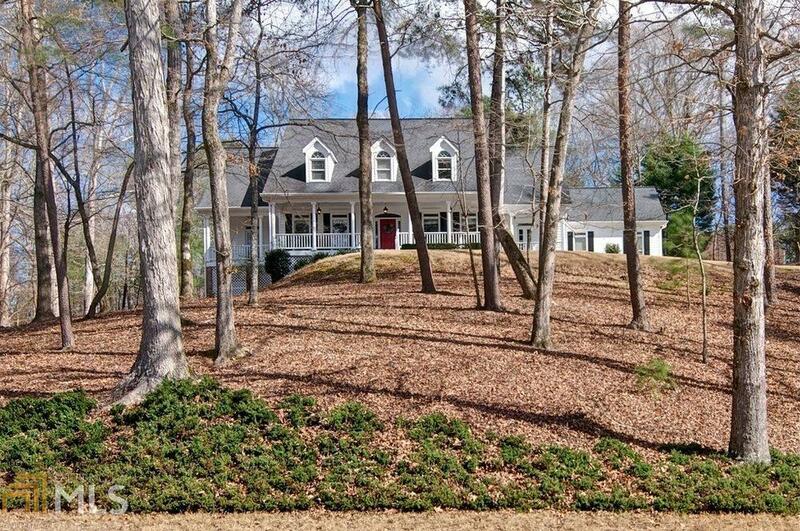 Beautiful Colonial-style home in the sought-after Falls of Cherokee community. Great location literally just minutes to I575. Meticulously maintained w/recent upgrades to kitchen including spacious cabinetry, premium granite counters and SS appliances. Large private wooded setting with ample parking. Gorgeous hardwood flooring throughout main level. Master BR on main w/recently upgraded bathroom. 5 separate porches for your outdoor leisure. Plenty of storage. Easy walk to pool, clubhouse, playground and lighted tennis courts. Great schools. Move-in ready. Directions: From I-575 Sixes Road (Exit 11). Head West. Left Onto Transart Parkway. Right Onto Williams Falls Drive.